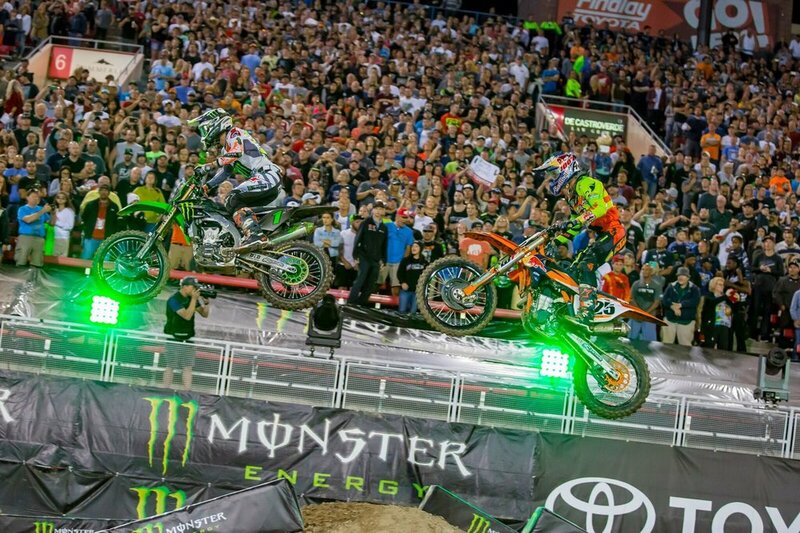 If you are in the Tampa Bay area make sure you do not miss out on the Monster Energy Supercross race that will be in the Tampa Bay Area next weekend on February 24th! This is the perfect family AND budget friendly outing with tickets going for as low as $20. There will be motorcycle riders from all over the World competing at the Raymond James Stadium. What is the Monster Energy Supercross? Supercross is the most competitive and highest-profile off-road motorcycle racing championship in the world. The world’s most elite athletes, Marvin Musquin, Ken Roczen, Eli Tomac, Cooper Webb, Jason Anderson and more battle it out for the esteemed 450SX Class crown! Tickets can be purchased online (via TicketMaster or SupercrossLIVE) and you can save $5 off select seats for Monster Energy Supercross in Tampa with discount code SXFEB. Hurry for the best available seats! Code expires February 23, 2018. Beaut&Beast will be at the event and updating this blog with our post review. We hope to see you there!